21 years after her tragic death, Selena Quintanilla will finally receive a star on the Hollywood Walk of Fame! Selena's incredible legacy definitely deserves the honor of her own star! Even after all of this time, her music still has a major impact on fans. 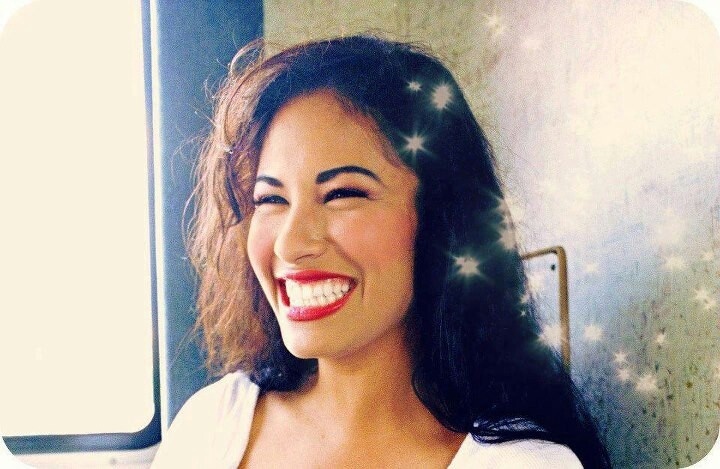 She even posthumously won Top Latin Albums Female Artist of the Year at this year's Latin Billboard Music Awards [for 2015 compilation album Lo Mejor de...Selena (The Best Of...Selena)]. In her lifetime, Selena released multiple successful albums, won multiple awards, and owned her own clothing line and boutique-salon. She was on her way to a major English crossover point in her career from the Spanish market when she was shot and killed at the age of 23 by her fan club president on March 31, 1995. A huge star sadly gone way too soon. Not sure what the hold up was. Could've been that she simply wasn't accepted during the application process (which I kind of doubt), or that her family simply didn't go through the lengthy and expensive process of getting one until now. Seriously, it's a lot more that goes into it than people think (read this!). However it happened, I'm just glad it did! Others set to receive a star this year are John Legend, Hall & O, Gustavo Dudamel, Eva Longoria, Ice Cube, 'N Sync, Amy Adams, Dwayne Johnson, New Edition, and more. In addition to seeing Selena's star in Hollywood, there will also be a Selena-inspired makeup line by MAC, set to be released in October! "Selena's talent and beauty, inside and out, have left a colorful, meaningful impact in the world that has continued to grow over the last two decades," M.A.C creative director James Gager said in an interview. "We have heard the passion and enthusiasm from her fans and wholeheartedly agree that her legacy embodies M.A.C's philosophy. We are so excited to announce a Selena-inspired M.A.C collection debuting in the latter part of 2016." Definitely will be checking out that line too! What do you think of Selena getting her own star on the Hollywood Walk of Fame?